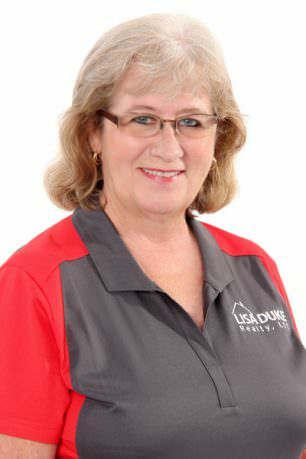 Dixie Robinson comes to the Lisa Duke Realty team with decades of residential real estate experience. Her real estate career began in 1985, when she purchased her first home. She was fascinated by the process and decided to explore how she could put her own talents and experience to work. Her mission- to create a truly successful and pleasant, stress-free experience for those looking to purchase a home. For more than 30 years, Dixie has been working alongside Jacksonville residents, putting her real estate insight, wealth of knowledge, and focused work ethic to use daily! In addition to being an amazing Buyers Agent, Dixie also worked in property management and residential leasing. She has ample hands-on experience with programs directed at first-time home buyers, in addition to understanding the needs and desires of upscale home buyers. In 36 years, Dixie has met every situation imaginable – she is well-trained, well-versed, and fully capable of handling every aspect of the real estate transaction! Not looking to buy a home, but considering putting your house on the market? Give Dixie a call! She’s sold mobile homes, land, condos, and upscale homes, and knows what it takes to get your home sold in today’s ever-changing real estate market. The client-centered culture at Lisa Duke Realty is a perfect match for Dixie. Her idea of success is a content and well-satisfied customer. “Knowing that I have met my customer’s expectations and gone above and beyond is the greatest reward,” says Dixie. Don’t just take her word for it, though. “I simply can’t say enough good things about how much of a blessing Dixie is/was to my family. In an unfamiliar loan process, she educated herself and me and walked me through every step of it. She even helped me move! She’s awesome! !,” says Tracy, one of Dixie’s happy customers. She is passionate about serving others. As a military wife, Dixie understands the unique needs of military families. She is also very active in her church and has worked as a youth school teacher and children’s director. Coming alongside families is Dixie’s mission! If you are looking for a real estate agent in Jacksonville, with decades of practical experience under her belt, someone with an abundance of knowledge and skilled in what it takes to have a successful real estate transaction in Northeast Florida, give Dixie a call! She is standing by, ready to help you find your dream home!